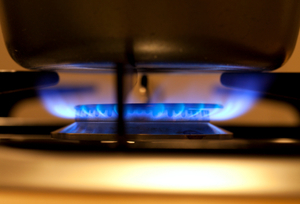 The owners of British Gas have sent out a warning to customers that they may face increased energy prices very soon according to a report on the BBC today. The comments from Centrica who own the company commented that the prices they were paying from gas at wholesale level did not reflect the amount the end-user was paying for their gas prices. Following the governments plan to raise taxes on North Sea oil and gas production the company have also stated that it was 'likely' to cut UK investment. They claimed that the world's recent disaster in Japan and the continued conflict in the Middle-East have thrown the energy market into 'turmoil'. "In the UK, the forward wholesale prices of gas and power for delivery in winter 2011/12 are currently around 25% higher than prices last winter, with end-user prices yet to reflect this higher wholesale market price environment," said a statement from Centrica. Now homeowners are being urged to look at their energy bills to see if they can find cheaper energy prices elsewhere using energy comparison sites before the increases come into effect.